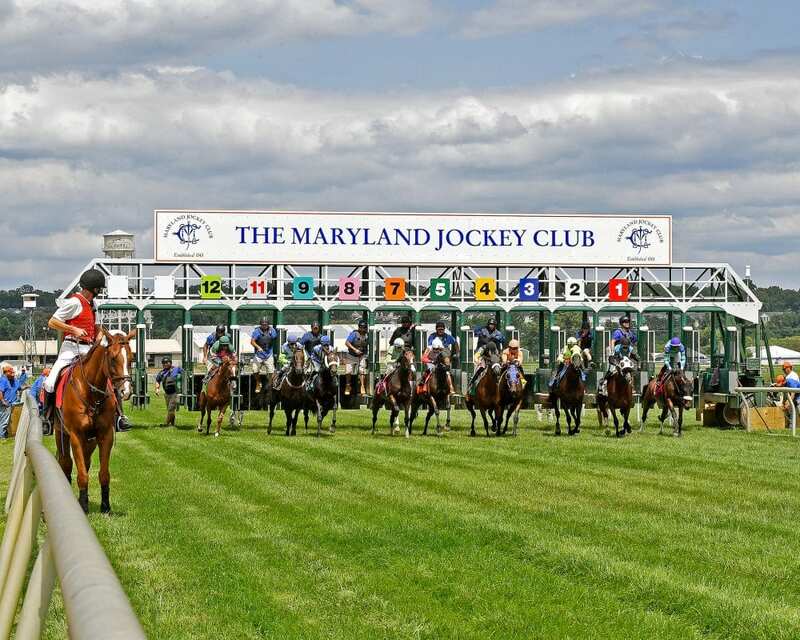 Live racing returns to Laurel Park with an eight-race program Thursday, April 18 that marks the seasonal debut of both juvenile and turf racing to the Maryland calendar. Thursday's opener is a $40,000 maiden special weight sprint going 4 ½ furlongs on the main track which attracted nine 2-year-old fillies, including a pair each from trainers Phil Schoenthal, John 'Jerry' Robb and Anthony Farrior, to kick off Spring Stakes Spectacular weekend. Schoenthal, Robb and Farrior are also represented with starters in Friday's opener, a $40,000 maiden special weight for 2-year-olds, also at 4 ½ furlongs, which also drew a field of nine. “It's the time of year where all of a sudden horse trainers get really, really busy again. You kind of have your string of horses that are here over the winter that are racing, and then in the springtime the turf horses start coming into the barn that had been on vacation and the 2-year-olds come in. It's a real hectic time for horse trainers,” Schoenthal said. “Myself, you steadily maintain 18 horses all winter and it's very comfortable and easy and you have your staff and your crew going along just fine. Then in the span of six weeks you go from 18 to 35 and it's all kinds of work and excitement and hustle and bustle. It's fun. A total of 87 horses have been entered in eight races over Laurel's world-class turf course Thursday and Friday, an average of 10.875 starters per race. The first grass race of the season, a 5 ½-furlong sprint for fillies and mares 3 and up, drew a field of 12. Laurel's expansive 142-foot wide grass course and portable rail allows for six different layouts, each named for some of racing's biggest stars – the All Along (rail setting), Bowl Game (17 feet), Kelso (35 feet), Dahlia (52 feet), Exceller (70 feet) and Fort Marcy (87 feet). Both Thursday's and Friday's grass races will be contested over the All Along and Dahlia turf course layouts. Thursday's feature comes in Race 6, a $42,000 optional claiming allowance scheduled for 5 ½ furlongs on the grass where Schoenthal's River Gal is entered to run for the first time since her victory in the Jamestown Stakes Sept. 28 at Laurel. The 4-year-old Limited View, a stakes winner on dirt at both 2 and 3, is prominent among nine fillies and mares 3 and up entered in Friday's feature, a $47,000 optional claiming allowance scheduled for 5 ½ furlongs on the turf. This entry was posted in The Biz and tagged 2-year-old racing, Horse Racing, juvenile racing, laurel, laurel park, Maryland, phil schoenthal, turf, turf racing by Press Release. Bookmark the permalink.